The Solar on my Roof site went down temporarily with the change over of hosting service. Restoring from backup did not go entirely as planned so I am in the process of rebuilding from scratch. For now the eBook is available in both the ePub format and the mobi format for Kindle devices. Just add the version you need to your cart. 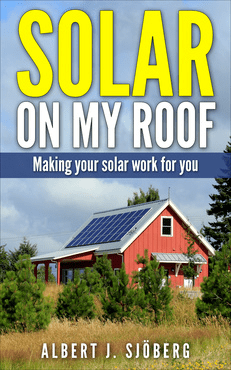 It has been great to see the uptake in sales of the Solar on my Roof eBook. Interestingly enough it is becoming a favourite with system installers. The ebook answers many of the questions that take up time on their service centre phone line. Solar on my Roof is born out of my experiences responding to customer and installer service calls. This ebook addresses the questions usually asked by the customer after their first exposure to a rooftop grid-tied systems. It addresses the basics of how these grid-tied systems work, and explains concepts like, anti-islanding, seasonal changes, Gross and Nett feed-in-tariffs to name but a few. This explains why in the middle of winter the customer may hear the inverter relays clicking, possibly multiple times, yet this is not usually heard in the summer. 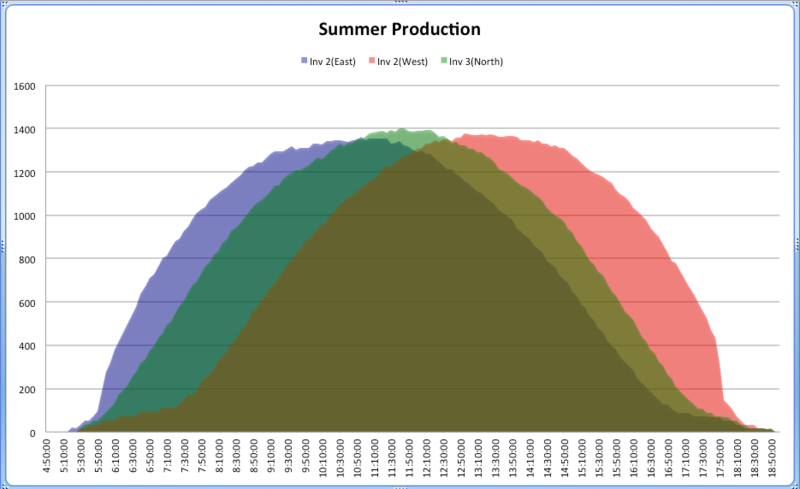 The eBook, Solar on my Roof is more than a simple thought experiment. It is the result of years of applying the techniques mentioned in the book and finding out what works, what works but is a pain to maintain and what can be ignored completely. This meant that I needed to have a rooftop solar Photo- Voltaic (PV) system with a variety of options. In this post I will explain how I put my system together. To create Solar on my Roof I made use of a number of software tools. Here is a list and some notes of how useful they were. Initial planning was done with mind mapping software. 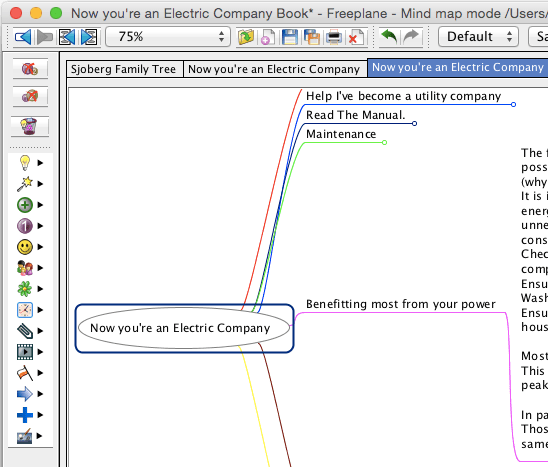 I have both Mindmanager from Mindjet and Freeplane. Although I started with Mindmanager, I moved on to Freeplane quite early in the process. I find these mind maps are a quick way to lay out and organise the material of the project and populate the chapters.For my next book, I’ll try the more conventional card and cork board offered inside Scrivener, but the spider created by Freeplane was the skeleton that became Solar on my Roof. This mapping went through several iterations while I was deciding what needed to be included, and what could and should be left out. Wouldn’t it be nice to receive a little something back when you recommend a book, like Solar on my Roof to someone? Just a little commission for pointing someone to your favourite site or author? Sure it would, and you can by joining an affiliate program. The way these work is that when you refer someone to a website, you usually provide them with a link. That link can be encoded to show where that link originated. The merchant can then allocate a portion of the income from these sales to the affiliate that brought the customer to the site. Launch of ebook Solar on my Roof. Author and engineer Albert J. Sjoberg has released the owners guide to your grid-tied solar system. Coffs Harbour author and resident Albert J. Sjoberg has published Solar on my Roof internationally. This ebook looks at your rooftop grid-tied solar system in simple easy to understand terms. You will find ways to ensure that you draw the most benefit from your system and see how to check that your system is performing as well as it should. For a limited time Solar on my roof, normally priced at $9.99, will be available at a 50% discount from https://www.smashwords.com/books/view/528524. Just use coupon code CN58L during checkout to qualify for a 50% discount. The coupon expires at the end of April 2015 and is only valid at Smashwords. The book is also available from Apple in the iBook store, Barnes & Noble in formats for all ebook readers. Inside Solar on my Roof you can discover what makes your solar system tick, and how you to ensure that it continues to tick for many years to come. You will find out how to measure the performance and how making small changes to the way you live can have a big impact on your energy bill and the environment. Originally from South Africa, Albert J. Sjöberg has settled in the Coffs Harbour area. He has spent many years working with and designing power electronic systems for the renewable energy industry. He managed a service centre for a solar installer fielding calls from suppliers and solar system owners from all around Australia. The common questions and misunderstandings convinced him that Solar on my Roof needed to be written. Cover for Solar on my Roof. Making your Rooftop Solar system work for you. You have installed a grid-tied solar system. 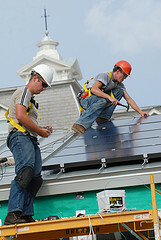 After the installer left and the dust settled you get your first glimpse at your rooftop solar system in action. Well you think it is in action. Is that all there is to solar? Is it working? If it doesn’t work what can you do? How does it work? Must you clean it? Can you touch it? Where to from here? This book looks at what a grid-tied solar system is in simple easy to understand terms. You will find ways to ensure that you draw the most benefit from the system and see how to check that your system is performing as well as it should.